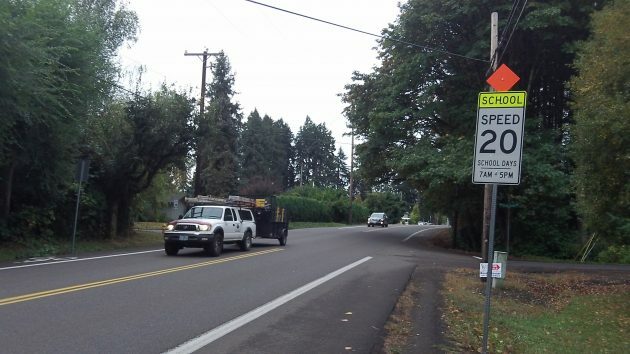 School speed restrictions went up on Spring Hill Drive after school started in September. How come, a reader wanted to know, “the school zone signs on Spring Hill for Fairmount went up again last week after being gone for two to three years.” The question about the change in North Albany came in over the weekend, and now the answer is at hand. “What changed?” the reader wanted to know. What changed, the answer man was able to ascertain when the weekend as over, was that the Albany Public Schools had begun using a part of Fairmount School for special-needs children from elementary schools throughout the school district. Some of the children apparently have a tendency to run, and officials were concerned they might run into the street. Hence the request, after the school year started, for Benton County to repost the customary 20-mph school speed restriction. The building had been and continues to be used for by the Family Tree Relief Nursery, but those children are of pre-school age and are transported to and from the site on buses or by their parents, so there was no concern they could get into traffic on their own. Other parts of the building house school administrative functions. 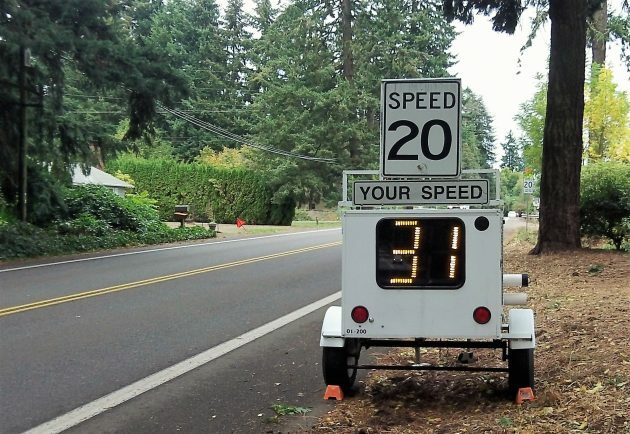 As Laurie Starha of Benton County Public Works recalls, the school speed zone on Spring Hill had been lifted about two years ago after Fairmount was no longer used as a regular school. But a week or two after the start of this school year, the county got a request to put the signs back up. The radar display that reinforced the 20-mph school zone this morning. Lots of warning signage, but the speed display is what alerted me. Minor inconvenience. Sounds like something for CARA! Is that “31 in a 20 zone” your score, Hasso? As a note of follow-up, the Albany police dept. was sending out warning notes to speeders in the first days the signs went up. Thanks to them for the courtesy. No, I was on foot.